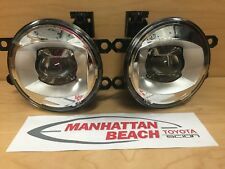 I1 Motor 2003-2005 Toyota 4Runner Fog Lights - Clear. 2003-2005 Toyota 4Runner. Fog Lights. Polycarbonate Lens with a superior UV protection and a high impact resistance. A pair light bulbs included. Interchange Number: H8 H11 H9 64212 64211. 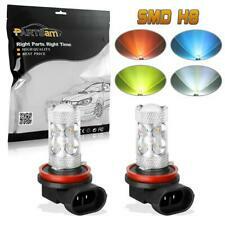 BroView S7 8000LM H4 9003 LED Headlight Conversion Kit 50W Cree 6500K Lamp Bulbs. BroView V Series V8 12000LM H7 Cree Headlight Dual Beam 72W White LED For BMW x2. Interchange Part Number:9006, 9012, HB4, 9006XS. 2 x High Power 40W LED Lights. Chip: Cree XTE. Position: Fog Driving Light(Not Bright Enough for Headlight). High performance LED, long lifespan, superior illumination & stability. Chip: Cree XTE. Interchange Part Number:9006, 9012, HB4, 9006XS. 2 x High Power 40W LED Lights. Position: Fog Driving Light(Not Bright Enough for Headlight). High performance LED, long lifespan, superior illumination & stability. Socket Type: H8;H9;H11;64212;64211. Compatible List: H8;H9;H11;64212;64211. 2 x H8 Light Bulbs. Color: White 6000K. Suitable applications:Fog Driving Light. Bright white LED light. Long service life, low power consumption. Fits 2006-2009 Toyota 4RUNNER Fog Light Lens/Housing Pair TO2594102 TO2595102. PartsLink #: TO2594102 TO2595102. TOYOTA 4RUNNER 2006-2009. Item includes bulbs, lens, housing, sockets. TOYOTA AVALON 2005-2007. Wiring Kit. You will get a RMA Number with in 24 Hr. Limited Warranty. P.O. Box, Puerto Rico, Alaska & HawaiiFree. Lower 48 StatesFree. BroView S7 8000LM H4 9003 LED Headlight Conversion Kit 50W Cree 6500K Lamp Bulbs. LED Type: High Power 10pcs Osram LED Chip. Position: Error Free Backup Reverse Light. If the LED does not light up, simply flip it 180 degrees (reverse the polarity). Those are NOT problems of LED bulb and NOT covered by warranty. You may simply add a set of load resistor (NOT included) to avoid those issues. Application: Fog Driving Light. LED Type:6-CREE-XBD-R5 High Power LED (theSecond Cree-XBD Generation R5 Technology SericesSuper Bright ). CREE LED H11 BULBS (PAIR). CLEAR LENS WITH CREE LED BULB UPGRADE. NORMAL H11 BULBS (PAIR). 11-12 Lexus DT 200H. 10-12 Lexus HS 250H. 10-12 Lexus IS250. 10-12 Lexus IS350. 08-14 Lexus IS-F.
Interchange Part Number: 9005,HB3,9005XS. Interchange part number: 9005, HB3, 9005XS. 2x White CREE R5 High Power Backup Reverse Light Bulb T10 T15 194 W5W Projector. 2pcs 3157 P27W High Power White Amber Led Front Turn Signal Light Projector Led. These brackets fit 1996-2002 Toyota 4runners.